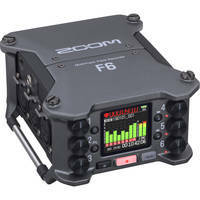 Just announced at NAB, the Zoom F6 Multitrack Field Recorder is the latest in the company's F series. 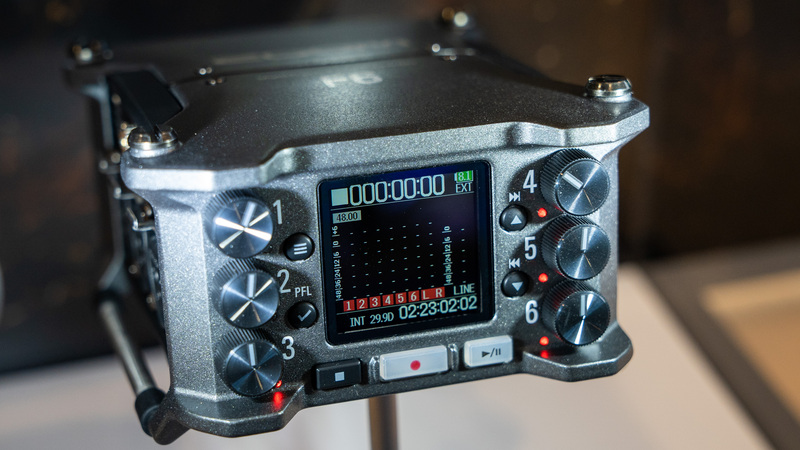 Zoom is among the best in the industry for portable, excellent audio recording solutions that will appeal to filmmakers, and the F6 is no exception. Slated for a June 2019 release, exact details are still limited; however, there are some interesting features being highlighted at the Zoom booth. The F6 Field Recorder uses the same preamps and timecode generator found in the stellar F8n, with the addition of dual A/D converters. One of its neat tricks is support for 32-bit floating point files alongside 24-bit, using 32-bit allows for a lot more flexibility in post with both quiet and loud noises benefiting from the extra data. 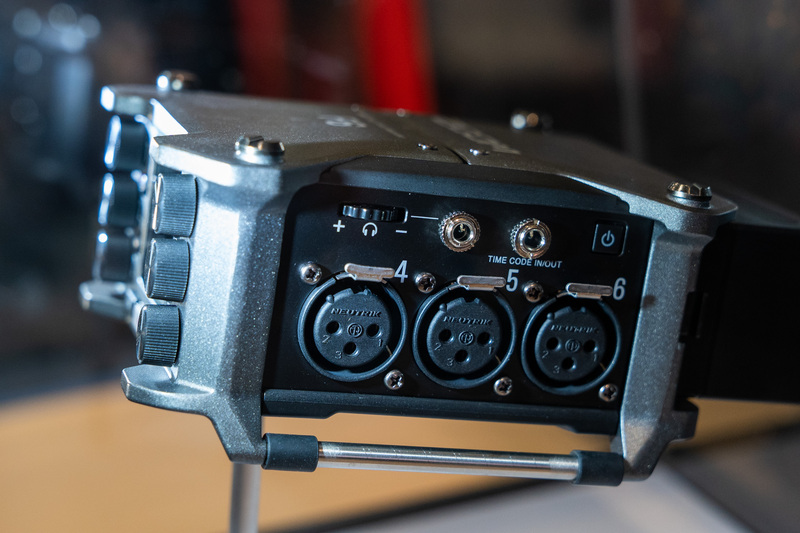 For connections, the F6 packs on six XLR inputs and has a 3.5mm input/output for timecode. The front shows off a clear color screen and six dials for manual control. There is an advanced hybrid limiter and it also records to an SD card. A USB Type-C port is available for use as an interface, or for power. The rear of the recorder sports an L-series battery slot, for portability. We hope to find out more information on the F6 Field Recorder in the coming months, so stay tuned to B&H Explora for the latest news.